As Executive Vice President and Chief Financial Officer, Linda oversees the Core5 Industrial Partners assets and is responsible for the development and overall command of the company’s financial operations, including accounting, treasury and finance functions. As a founding partner, she plays a lead role in the company’s financial planning and forecasting and works closely with executives from Core5’s Japanese parent company, Kajima, to ensure the company’s financial strength. She also maintains relationships with investors and key stakeholders. as one of “20 Women on the Way” in recognition of her career accomplishments and community involvement. A devoted community volunteer, Linda currently serves on the board of directors and performs an officer role as treasurer of 3Keys, an organization that provides permanent supportive housing to homeless individuals living with mental illness. Past volunteer efforts with the greater Atlanta community include appointments with the Atlanta Children’s Shelter where she sat on the board of directors and performed officer roles as both treasurer and vice chair. Linda has held positions as a member of the board of trustees and finance committee of Haygood Memorial United Methodist Church and has led a youth group to co-sponsor a refugee family resettling in Atlanta with New American Pathways. 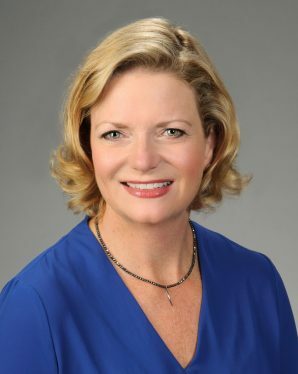 A graduating member of Leadership Buckhead, a program created to help high-potential individuals develop fully as leaders, Linda previously served as the treasurer of the board of directors. Linda holds a Bachelor of Accountancy degree from the University of Mississippi. She is a Certified Public Accountant (CPA) and was the Gold Key Award Winner for receiving the highest grade in the state of Georgia the year she took the certification exam. Linda stays actively involved in her industry through memberships in Commercial Real Estate Women (CREW), the American Institute of CPAs, the Georgia Society of CPAs, and the Real Estate Investment Advisory Council (REIAC). A former member of the National Association of Real Estate Companies, she served a post as president. Linda’s past experience includes a 19-year term with Kajima’s former industrial company, IDI, where she served as Executive Vice President and Chief Financial Officer. Prior to joining IDI, she was a manager in MetLife’s real estate investments group where she was responsible for portfolio financial analysis and real estate financial reporting. She started her career as an auditor for KPMG Peat Marwick.